Leveling professions in World of Warcraft is very time consuming, but it is a necessary part of the game. 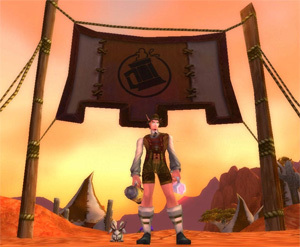 It’s impossible to make any WoW gold without having any professions, and an important part of leveling your professions is running the WoW daily quests. However, it can be very difficult sorting out exactly what you need to do in order to level your professions, especially when you reach the higher levels. This is where the WoW dailies guide for professions comes in. Whether you’re farming for gold, profession skills, or reputation, a good WoW dailies guide is a must-have tool for any serious World of Warcraft player. There are plenty of great WoW dailies guides available, like Dugi’s Dailies and Events Guide. Most of them provide a lot of very helpful information, but some of them just aren’t as complete as others. You also have to take into account the fact that some of them are in-game guides, while others will require you to either print out the guide or have it running in the background so you can flip back and forth while you play WoW. WoW dailies guides generally include all the information you need about every daily in the game, and they provide plenty of information about all the daily quests you need for certain professions. For example, jewel crafters will need to complete their daily quests for jewel crafting in order to keep making gems to sell, even after they reach level 450 of their jewel crafting profession. Another important part of a good WoW dailies guide is the seasonal daily quests. The seasonal dailies are a great way to earn more WoW gold and a lot of experience while you’re leveling. They’re very easy, and usually the amount of experience earned from the seasonal quests is a lot. Seasonal quests are also a great way to break up some of the monotony involved in the daily quest grind. Using a WoW dailies guide will also save you a lot of time. Dugi’s Dailies and Events Guides are organized according to both reputation and zone, so you won’t spend valuable time trying to figure out which daily quests you need to do each day. A WoW dailies guide will help you understand which daily quests you should be doing, depending on which faction you need the reputation with. Most daily quests do have some prerequisite quests you will need to complete before you can become eligible for the daily quests. You will need to follow the WoW dailies guide to make sure you complete all of the prerequisites you need. Otherwise it is just too easy to wander around the game while you try to figure out what you need to do to unlock the dailies. This means you are covered for daily quests, even before you begin working on a regular daily routine.